Residents across much of middle TN were glad to finally see some snow. Of the measurements in right now, a station just southwest of Monterey is the leader with 2.3". It was an unexpected day off for teachers and students for local schools due to icy road conditions. 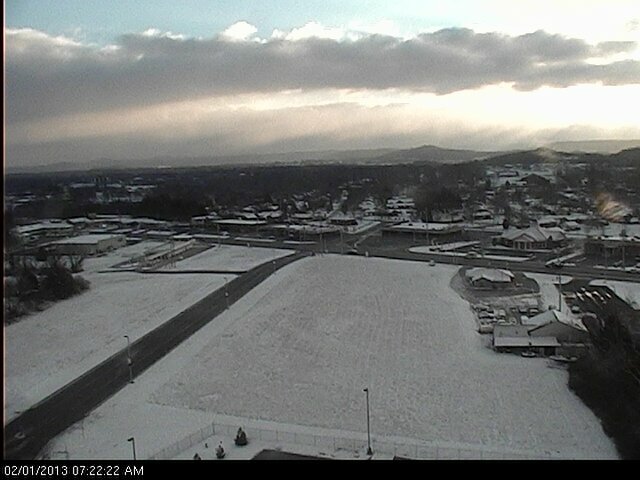 Current morning temperatures are in the teens around the Cookeville area with wind chills as low as the single digits. If you're sending the kids out to play, dress them up appropriately. We'll make it up to only 27° today with skies eventually becoming sunny. Increasing clouds tonight with a low of 21° by daybreak. A complicated forecast for Saturday with snow likely before lunch and rain likely in the afternoon. A high near 37°. We expect accumulations in the one-half to 1" range before changing to rain. Saturday night's forecast is for the rain to switch back to snow with no additional accumulation and a low of 28°. Sunny on Sunday with a high of 40°.